Serviced and ready to go!!! 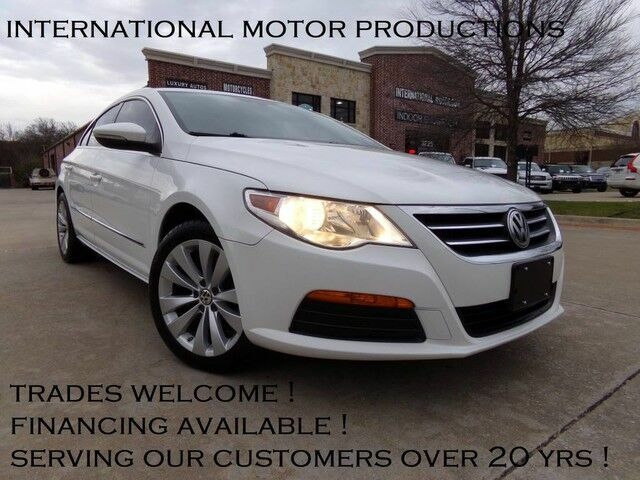 This is a beautiful VW CC that has been extremely well maintained, and kept in the garage. The 2 tone leather is a special add to the look. * All payments are calculated at 72 months $1000 cash down at a 5% rate. The calculations are (W.A.C.) With approved credit. Not all vehicles will qualify for 72 months, 5% rate or $1000 cash down. Customers credit will determine the interest rate, terms and cash down. Please contact International Motor Productions for more details.